I forgot to post these yesterday (because I know you’re all just waiting with baited breath to see these). 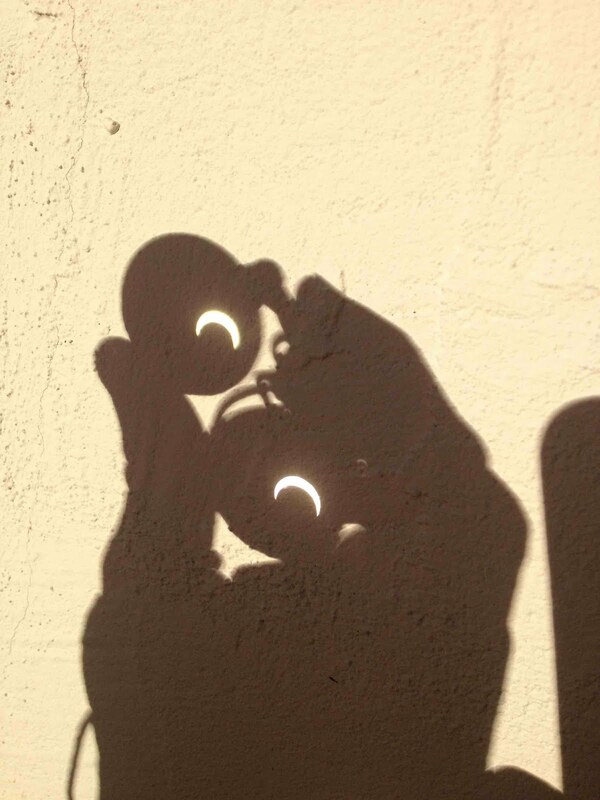 Captain Caffeine had read that you can also view the eclipse through a pair of binoculars, so he got his out and we looked at the eclipse projected onto the side of the house wall. Cute, huh?